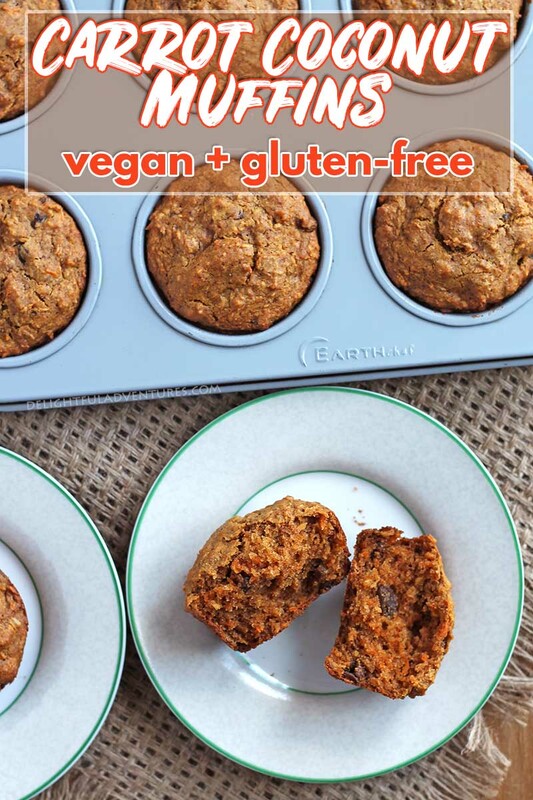 A little twist on regular carrot muffins, these vegan gluten-free carrot coconut muffins are quick and easy to make and they’re loaded with tasty ingredients! They make the perfect snack for lunches or for enjoying with tea or coffee. 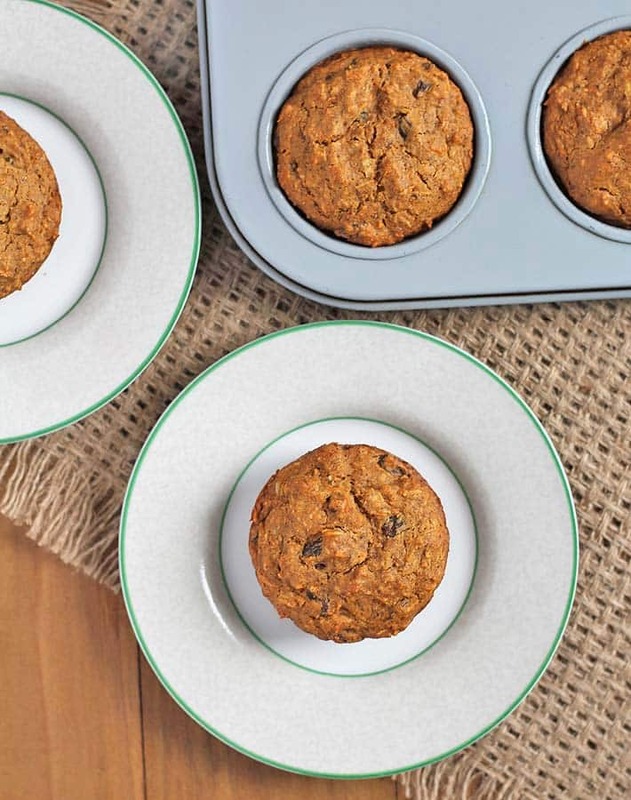 Muffins are always quick and easy to bake up each weekend for the week ahead. 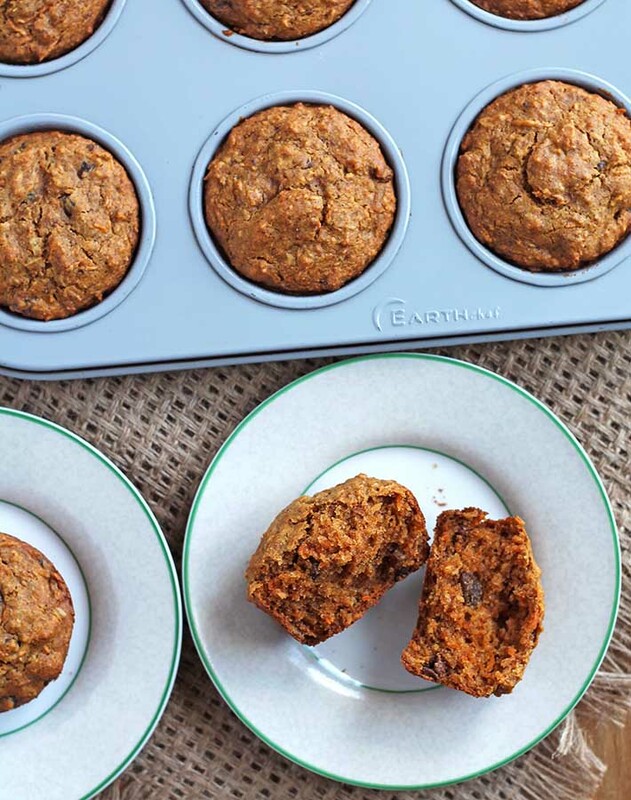 My carrot coconut muffins with coconut oil, applesauce and many other delicious ingredients, have become a recent favourite and have become so loved that they’ve been on baking repeat for the past few weeks. This recipe was pretty easy to develop because it’s based on my Vegan Gluten Free Morning Glory Muffins recipe. These are kind of the same…but different. How Should I Prepare the Carrots? 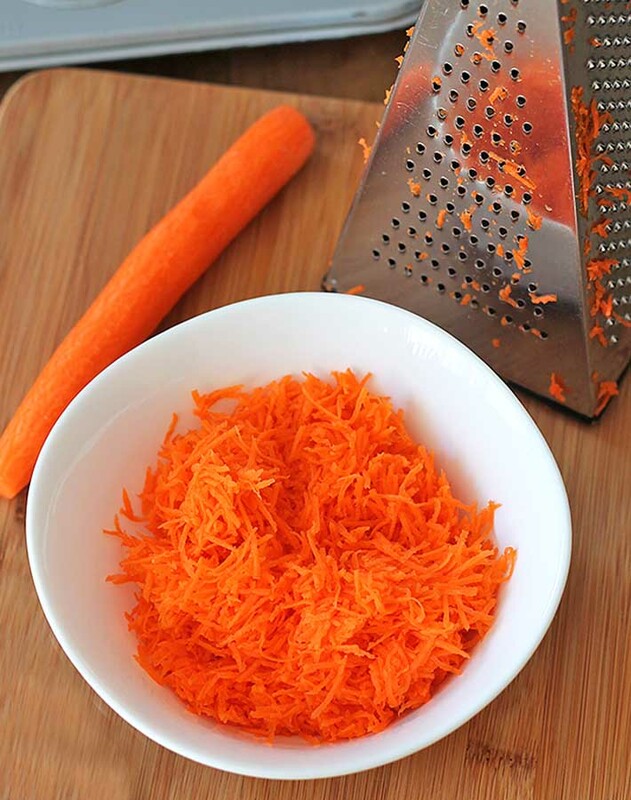 For these muffins, you need to shred the carrots using the small shred side of your box grater. See the picture below. Shredding them this way will ensure that they are cooked thoroughly after they have finished baking. What Kind of Coconut Should I Use? 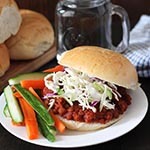 Use dry, shredded unsweetened coconut. This type is very easy to find in stores, you can find it in the baking section. If you’re feeling a little ambitious, I recently shared my method on how to crack open and use a whole coconut, so you can also use freshly shredded coconut, too. Do Raisins Need to Be Used? I know many people don’t like raisins, I happen to love them. I really like to add raisins to muffins (try this trick if you use them!) but if raisins are not your thing, feel free to replace them with walnuts. However…I do highly recommend raisins. These muffins are not overly sweet, I chose to not add a lot of sugar, so the raisins add a little bit of extra sweetness to make everything balance out nicely. What is the Texture Like? As you can see from the pictures above and below, the inside of these muffins is soft, super moist, and fluffy…something you may not expect from a muffin that’s vegan and gluten free. But it’s absolutely possible to make a vegan, gluten free muffin with this type of texture. You’ll have to make them to see for yourself! Have more questions? Ask in the comments below! And if you make them, leave me a comment below, too! You can also help me to help others find this vegan gluten free muffin recipe by pinning it to your recipe board on Pinterest! You can do that by clicking here. 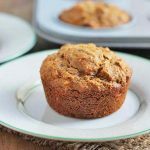 Click here for more vegan gluten free muffin and breakfast recipes and click here to follow my vegan gluten-free muffin recipe board on Pinterest! 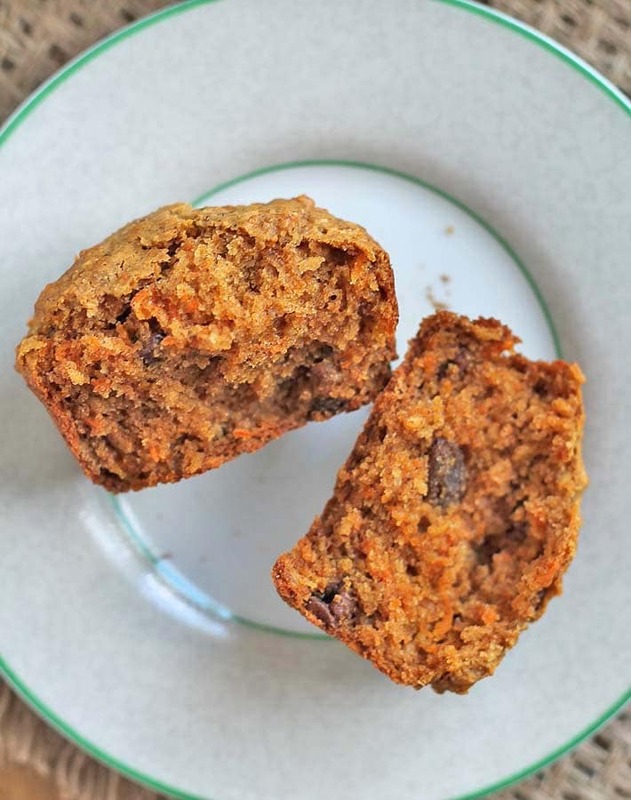 Simple and easy-to-make, these vegan gluten-free carrot coconut muffins are a delicious snack for lunches or for enjoying with tea or coffee. 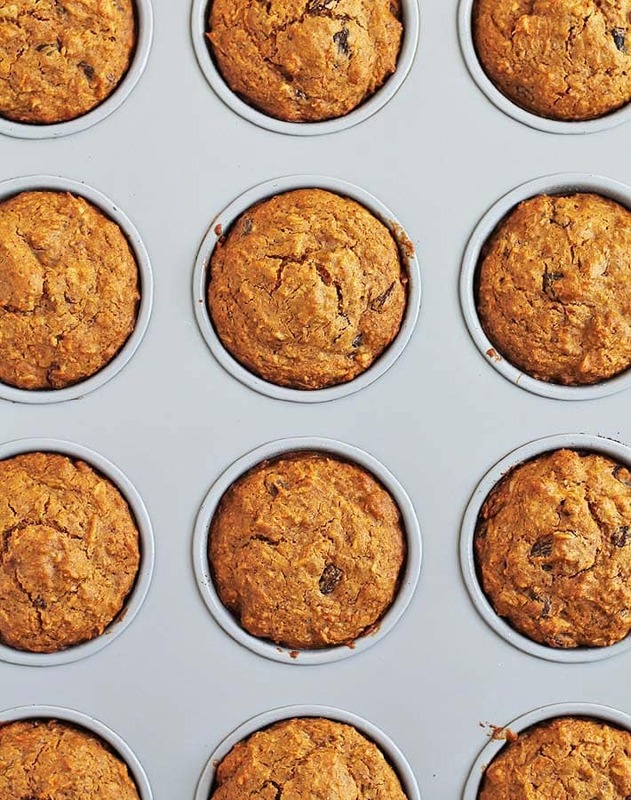 Line a muffin tin with liners or generously grease the inside of each cup with coconut oil. 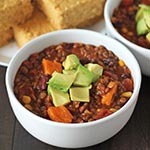 In a medium bowl, whisk together the flour, oats, baking powder, baking soda, salt, ground cinnamon, and ground nutmeg. In a large bowl, mix the flax mixture, coconut oil, vanilla, and applesauce. Stir in coconut sugar until blended. Slowly add the dry mixture to the wet mixture and stir until combined. Fold in the shredded coconut, carrots, and raisins until well incorporated. Using a spoon or a large scoop, divide batter into the 12 muffin cups. Please read all of the tips and FAQ above before making this recipe. It's important to know that different gluten-free flour blends use different ingredients and ratios, so results will always vary if you substitute. 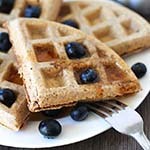 I have never used any other brand of flour to make this recipe (other than Bob's Red Mill Gluten Free All Purpose Baking Flour (Amazon link) with the red label, NOT the blue label), so please know that your results may not be the same as mine if substitute with another gluten-free flour blend. Fresh or dried coconut will both work fine in this recipe. Click to learn how to crack open and use a whole coconut. Nutrition info is based on 1 carrot coconut muffin without any add-ins. Nutrition info is only to be used as a rough guide. Click to learn how nutrition info is calculated on this website. Thanks for the great recipe idea! I did not have any raisins on hand, flax or coconut shreds!! I used chia instead of flax in exactly the same amount, without grinding. But I put chopped walnuts instead of coconut and chopped prunes instead of raisins. Then I added a few chocolate chips because I was worried they would be to dry without the coconut. But they turned out fantastic!! Hi Tedra! Glad they turned out to your liking with all the substitutions! 🙂 I think walnuts in these muffins would be amazing! Thank you so much, Demeter! I love that split open muffin pic too 🙂 I always like to share what the inside looks like in my recipes since gf/vegan baking can be a bit sketchy and if you aren’t shown, what’s inside may be a surprise that you may not like LOL 😉 And grab as many raisins as you want. Plenty to share 🙂 Thanks for stopping by and for pinning! If you don’t care about GF can you sub regular flour or maybe 1/2 whole wheat and 1/2 white flour? Hi Sef, I’m glad it worked out with your substitutions! 🙂 Thanks for your note. Dayyyymn those look good. I’m going to make them, but with gluten, so I shall report back! Excited to hear how they turn out, Nicole!! !